Directions: Preheat oven to 425. 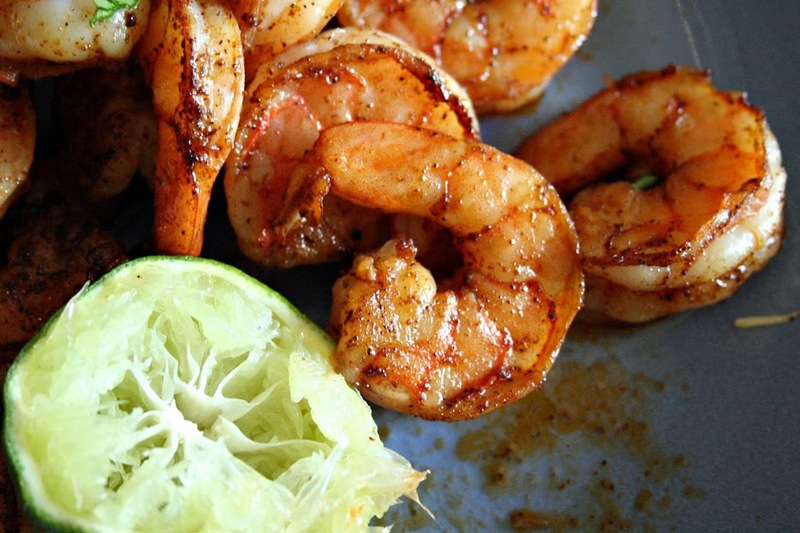 Combine the onion, jalapeno, 1/2 teaspoon salt, and oil in a large saucepan. cover and cook over medium-low heat, stirring often, until the onions and peppers have softened, 8-10 minutes. Stir in the garlic, chili powder, cumin, and sugar, and cook until fragrant, less than 30 seconds. Stir in the tomato sauce, water, and chopped tomato. Bring to a simmer, and cook until slightly thickened, 5 minutes. Nestle the chicken into the sauce. Reduce heat to low, cover, and cook until chicken is cooked through (thickest part reaches 160 degrees), about 12-20 minutes. Transfer the chicken to a plate, and set aside to cool. Strain the sauce through a strainer into a medium bowl, pressing the onion mixture to extract as much liquid as possible. Transfer the onions to a large bowl and set aside. Season sauce with additional salt and pepper to taste. Shred the chicken into bite-sized pieces. Add to the onion mixture, and add 1/4 cup of the enchilada sauce, 1 cup cheese, and the cilantro. Toss to combine. Stack the tortillas on a plate and cover with plastic wrap; Microwave on high until warm and pliable, 40-60 seconds. Spread the tortillas on a clean work surface, and spoon 1/3 cup of the chicken mixture evenly down the center of each. 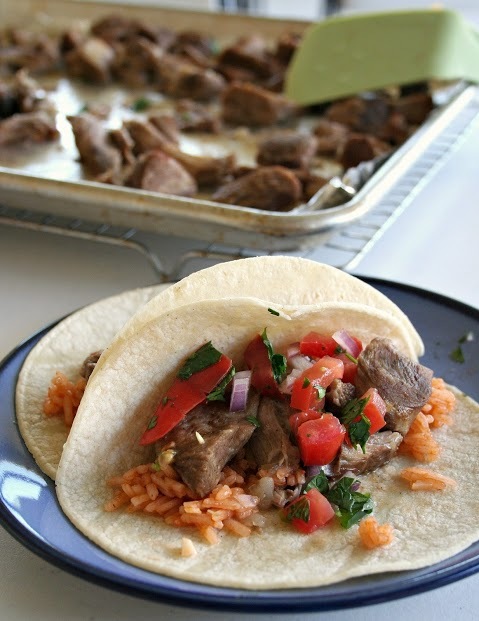 Tightly roll each tortilla and lay seam-side down in a greased 9×13 inch baking dish. 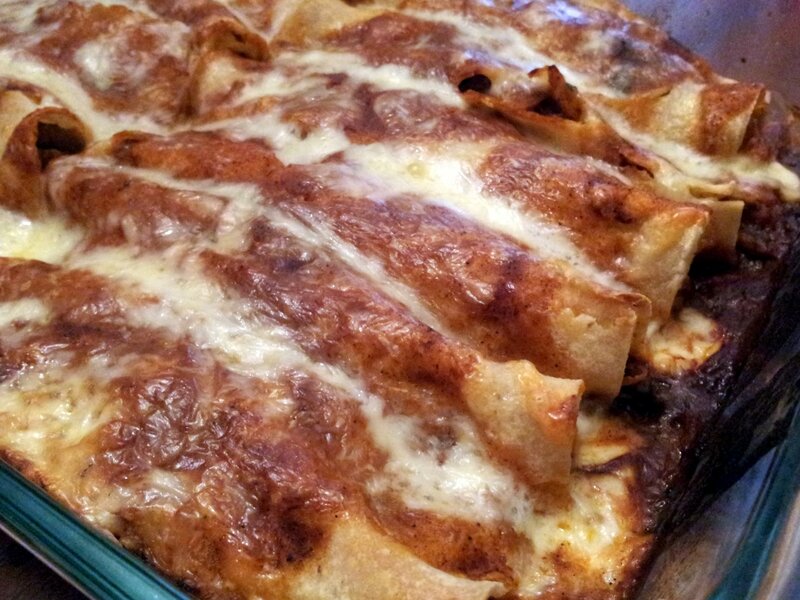 Lightly spray the tops of the enchiladas with cooking spray. Place in the oven, uncovered, for about 7 minutes, or until the tortillas start to brown slightly (skip this step if you don’t like the crunch). Reduce heat to 400. 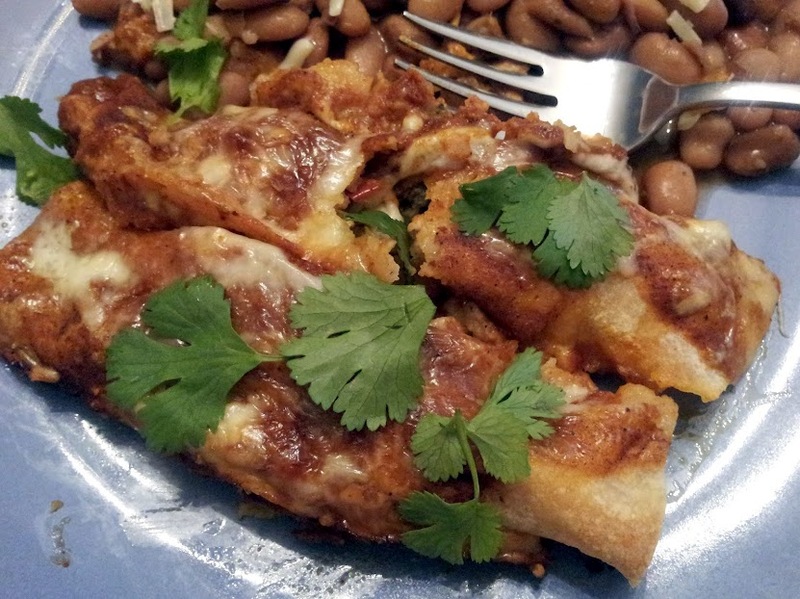 Remove enchiladas and pour sauce evenly on top. Top with the remaining cheese. Cover dish with foil, and bake an additional 20 minutes, or until heated through. Remove foil and bake another 5 minutes, until cheese browns. Remove from oven and let stand 10 minutes before serving. 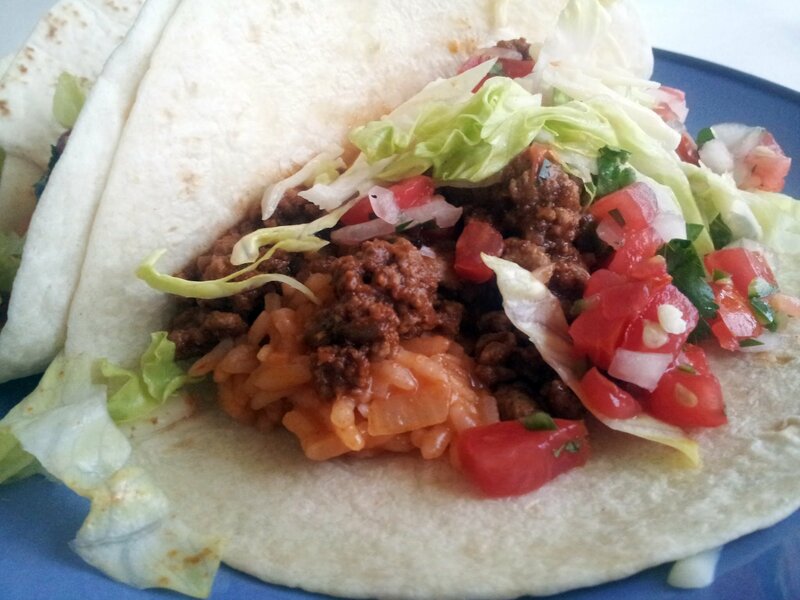 When in doubt, ask your nine-year old what you should make for dinner…the boy loves tacos! Any Tex-Mex style foods, really. We haven’t had tacos in a while, so I agreed; searched through Pink Parsley and chose this recipe. M is anti-corn tortilla for some reason, so I haven’t decided if I want to fry up the flour tortillas I’ll be using for these. Verdict: Yum! The leftovers didn’t last more than one day either! 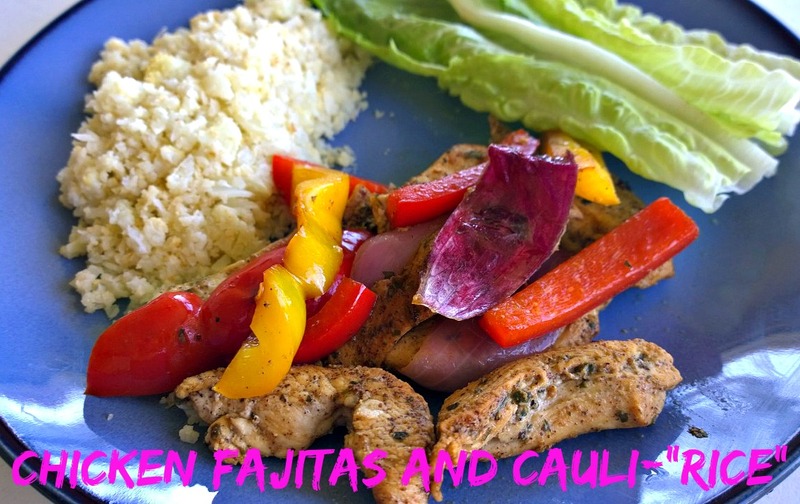 I served this with my fave rice, fresh pico de gallo, pepper jack cheese and lettuce. Everyone enjoyed these and my picky daughter even ate more than a few bites. 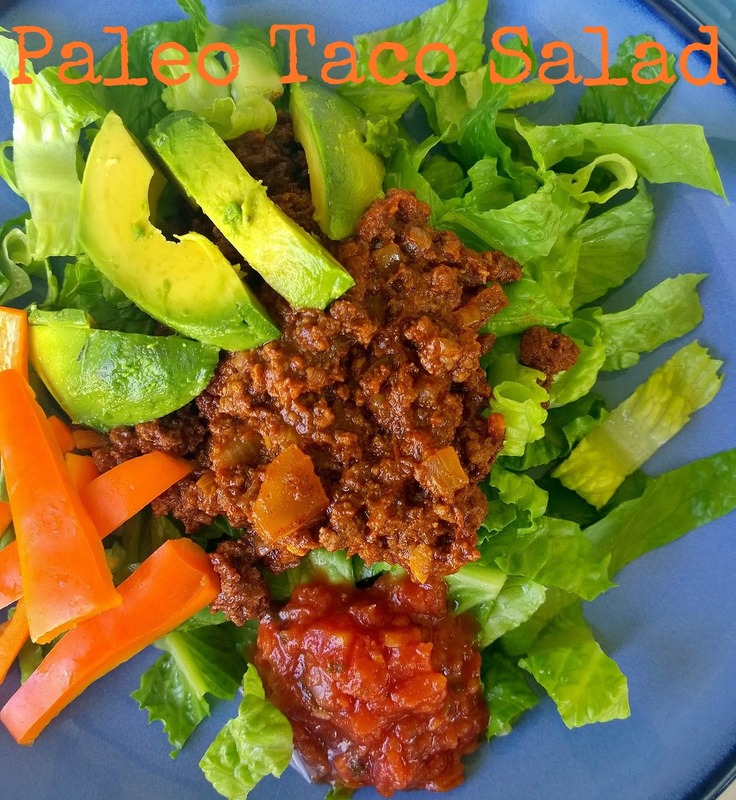 This is the second ground beef taco recipe that I have posted here, and I’m happy to report that this one is going to be my go-to recipe. Thanks for reading, enjoy! Add tomato sauce, broth, brown sugar, and vinegar; bring to a simmer and reduce heat to medium-low. Simmer uncovered, stirring frequently, until liquid has reduced and thickened, about 10 minutes. 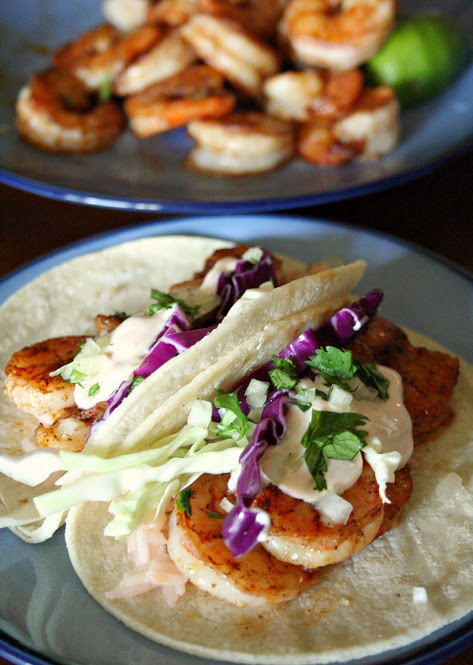 Adjust seasonings with salt and pepper and serve with your favorite taco fixin’s. Yum! This was my first experience preparing and eating tri-tip, and I’m happy to report that it was excellent. I was inspired by this recipe, but created my own seasonings for this. I’m just guessing on the amounts, but that’s what’s so great about this kind of meal, just throw in what seasonings you prefer and make it as mild or spicy as you like. The flavor was pretty good, but next time I would marinade the meat overnight in the seasonings or just add more seasonings to the meat in the first place if I didn’t plan ahead. 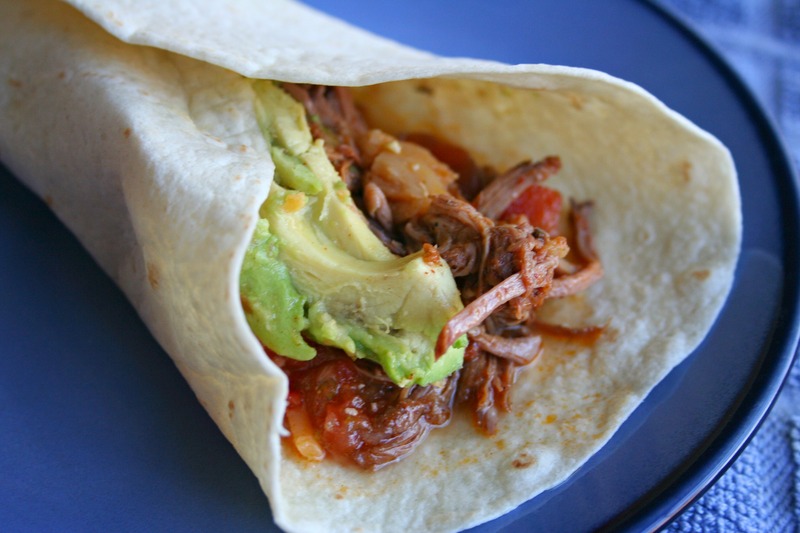 We used the leftover meat for bean and beef burritos (but that’s another post). Thanks for reading, enjoy! In a small mixing bowl, make taco seasoning rub by combining the kosher salt, black pepper, garlic powder, paprika, ground ginger and cayenne pepper. Mix well. Rub tri-tip with dry spice rub and place in crock pot. Cover roast with diced tomatoes, chillies, onion, and garlic. Place the lid on the crock pot on and cook on low for 8-10 hours. Remove from oven and place tri-tip on cutting board. Discard the smashed garlic. Leave remaining juices, tomatoes, chillies and onion in pot. Using two forks, shred the tri-tip by holding one fork steady with one hand and slowly scraping the other fork, prongs faced backwards, with your other hand away from the other fork. Transfer the shredded tri-tip to a large bowl and add the reserved cooked vegetables and juices from the Dutch oven. Stir to combine. Serve in warmed tortillas with all your favorite toppings. Enjoy! I haven’t eaten red meat in almost two months! I haven’t been craving it at all, but this recipe sounds good to me. Besides that, we haven’t had a taco night in months, so I know my son will be happy. 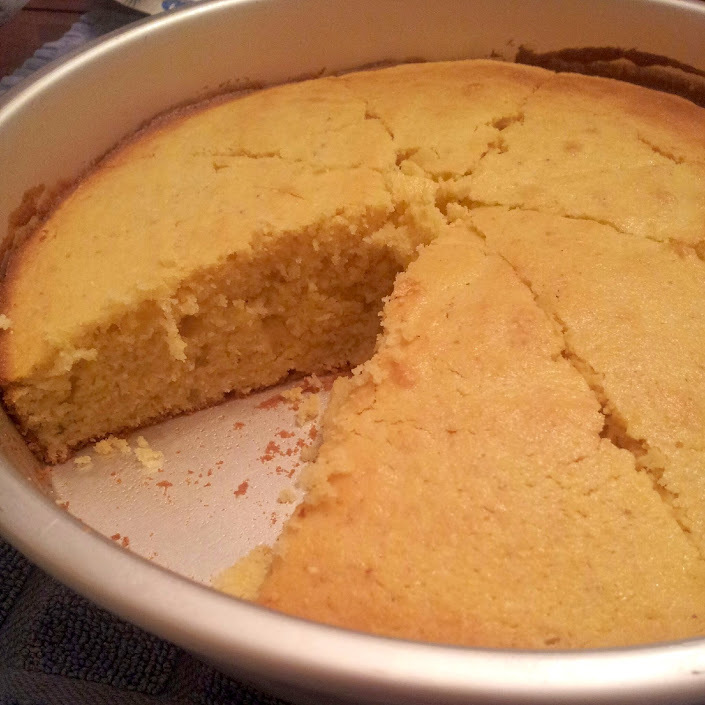 I’ll serve this with baked brown rice and black beans doctored up with some onion, cilantro and jalapeno. Verdict: Yum! This was really good. Next time, I’ll make sure to start marinating the steak sooner than I did today (only about 3 hours). The avocado dressing was really good, and will get even better as it sits. Today I tried some of it on this red lentil soup and it complimented the flavors so well. I plan on using the leftovers for sandwiches, salads or as a dip for veggies. Thanks for reading, enjoy! In a ziplock bag or glass container, add all ingredients for the marinade, plus the steak. Marinate the meat at least 30 minutes, and up to 6 hours. In the meantime make the dressing. 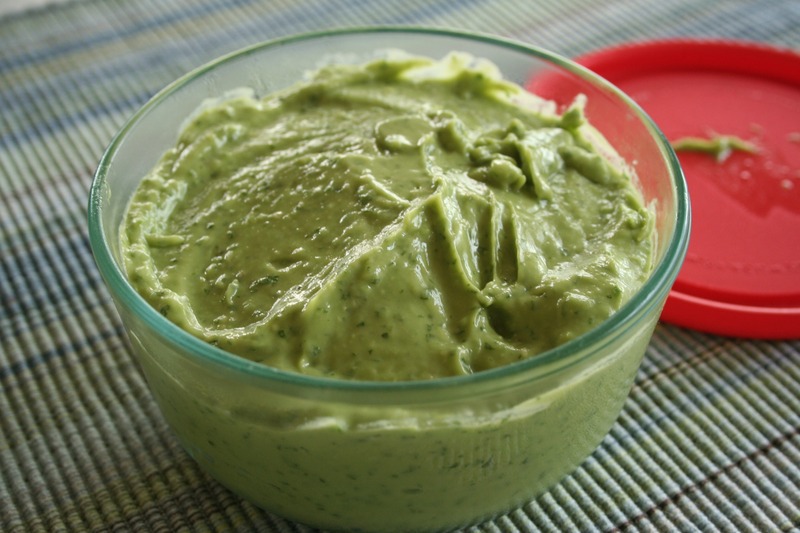 In a food processor or blender, add all ingredients for the dressing and pulse until smooth and creamy. Put in a sealed container or jar, and place in fridge to let the flavors mix. Heat a grill, or grill pan to high heat. Grill the steak for a couple of minutes on each side, until steak is seared on the outside and pink in the middle. It will take anywhere from 5-10 minutes depending on the thickness of your steak. Take off the heat and let rest for 5-10 minutes before you slice it (make sure to slice against the grain). 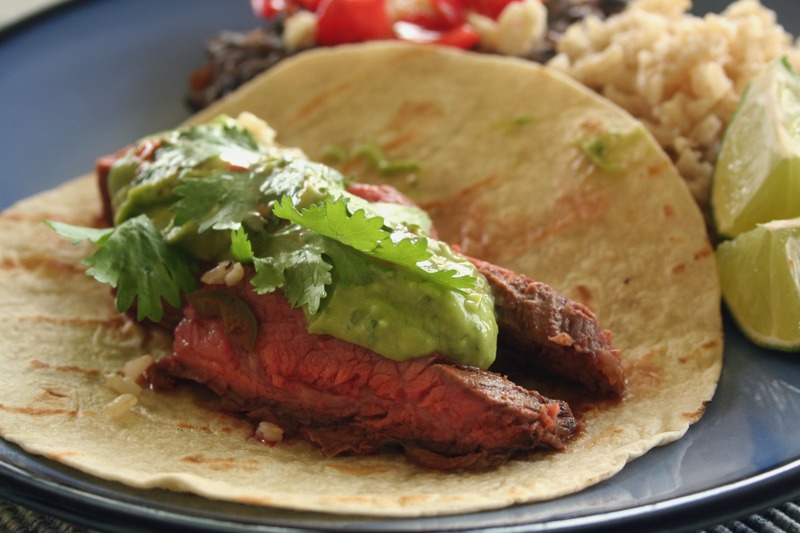 Serve the meat in a corn tortilla (for gluten-free, or whole wheat if you prefer), and top with crumbled feta cheese, lettuce or cabbage, lime juice, cilantro, and avocado dressing. Yum! I love black beans, but sadly my family doesn’t. 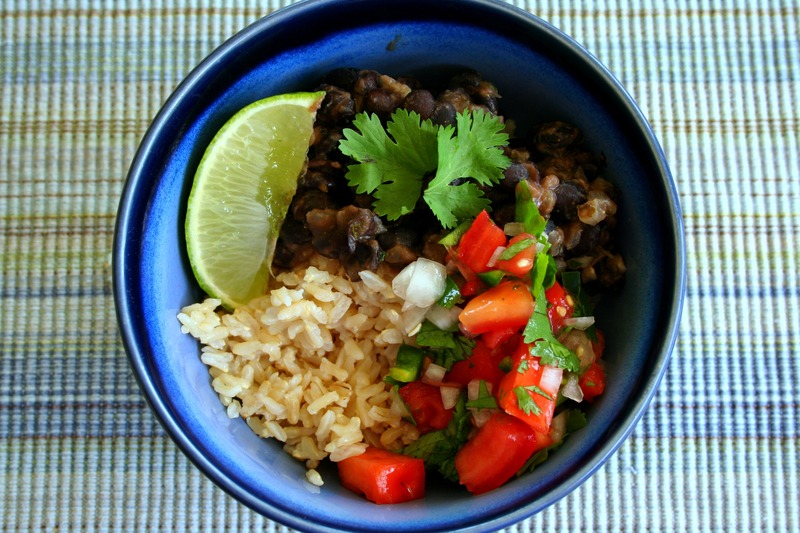 If you have the time and you’re not starving, but you want a substantial meal plus leftovers, this is perfect 🙂 I got the idea for this here, but I modified the black bean recipe quite a bit to make it even more healthy. I read that draining and rinsing the beans decreases the sodium by about 40% ; and besides, the liquid inside the can kinda grosses me out. I love baking the brown rice and it’s a foolproof method of preparing it – not quick by any means, but entirely worth the wait. Once the rice is in the oven, you can make your pico de gallo and stash it in the fridge for at least 30 minutes. 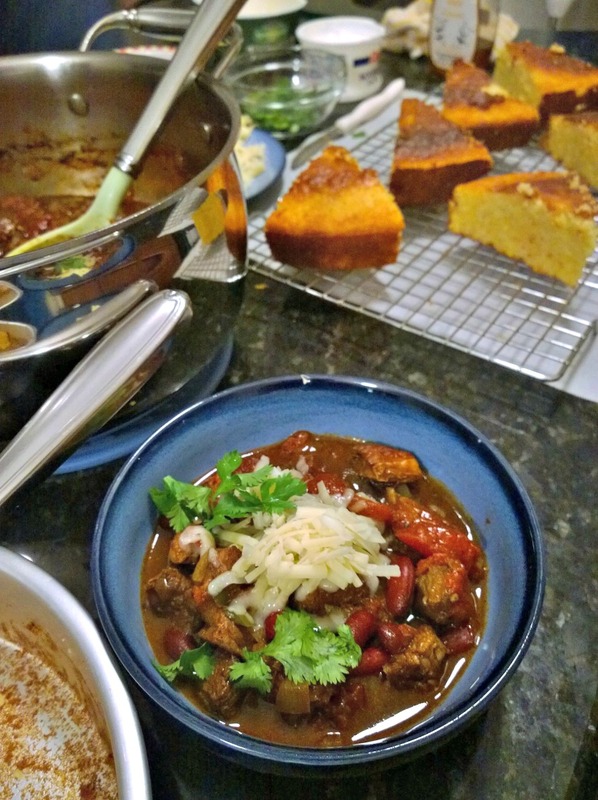 The beans are the quickest part of this meal and only take about 10 minutes. This is by far my favorite lunch and I ate the leftovers for four days, ( I had to make up another batch of black beans) and thankfully I’m not sick of it yet! Thanks for reading, enjoy! Pour rice into the dish, add water, salt and butter; and cover the dish tightly with heavy-duty aluminum foil. Bake on the middle rack of the oven for 1 hour. Once it’s finished baking, carefully remove cover and fluff the rice with a fork. Serve immediately. 1. Rinse and thoroughly drain your black beans. In a heavy bottomed sauce pan or skillet over medium heat, drizzle the olive and saute the onions for about 5 minutes. Add the beans, cumin, oregano, salt and about 1/3 cup of water to the pan. Cook for about 5 more minutes or until desired thickness, (you can smash some of the beans for a thicker sauce). 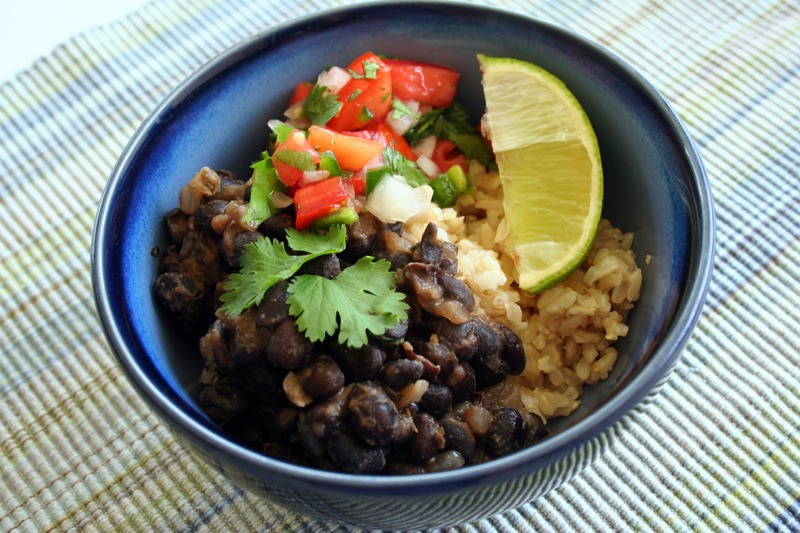 Add your cilantro, a squeeze of lime juice, serve over brown rice and top with your fresh pico. Enjoy!